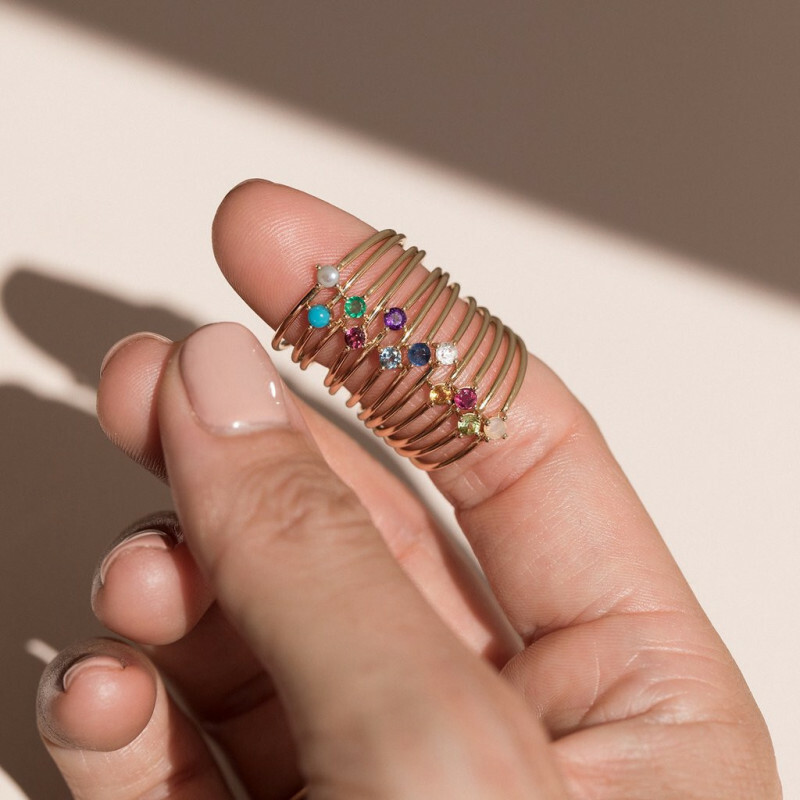 A stone for each month with the Element birthstone Rings, designed by Leah Alexandra. 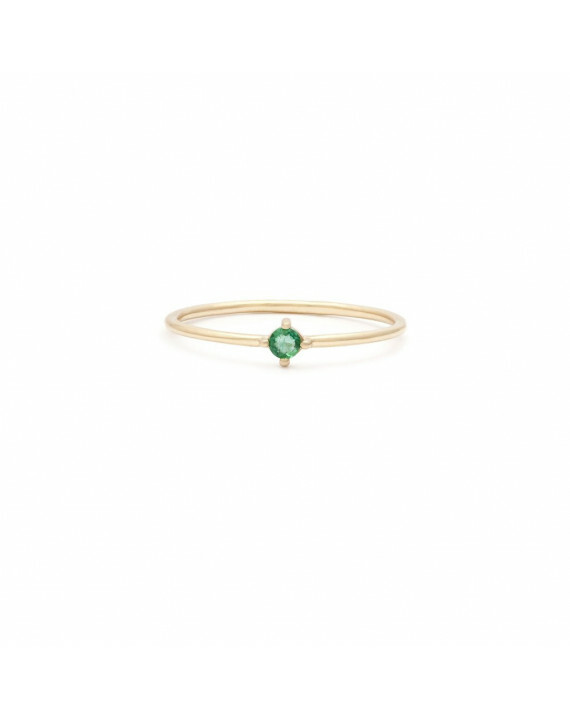 You will fall for this thin lovely ring, which mixes gold and dark green for a romantic-baroque effect. 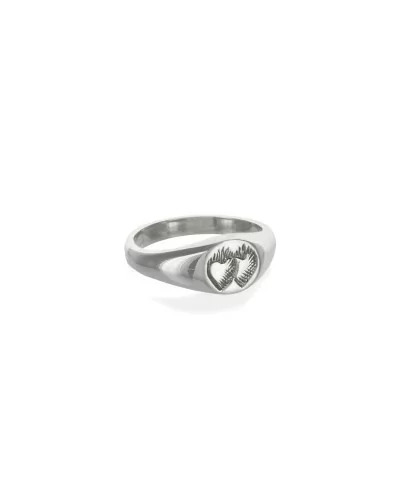 This pretty signet ring in silver is presented with two entwined hearts. 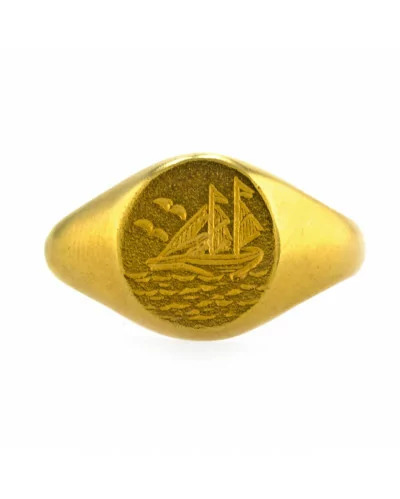 You can put in on your ring finger or little finger. 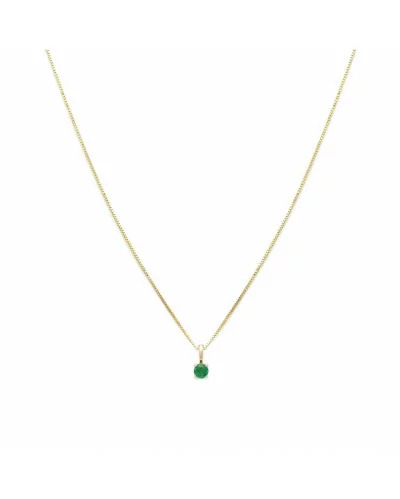 This creation has created by La Fabrique de Naa, made in her Parisian workshop, in which she works in duo with Charlotte ( jeweler apprentice graduated from the Parisian school, BJOP). 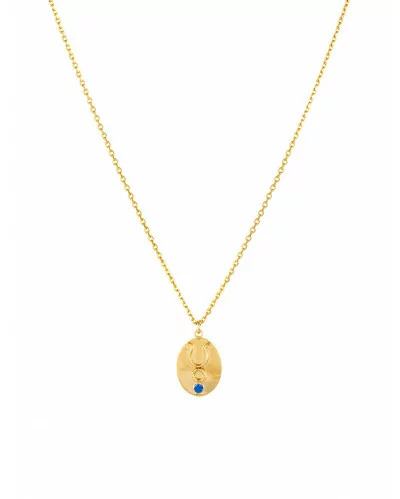 This new colaboration gives way to instinct, with jewels created at the moment. This ring in vermeil is hand hammered. 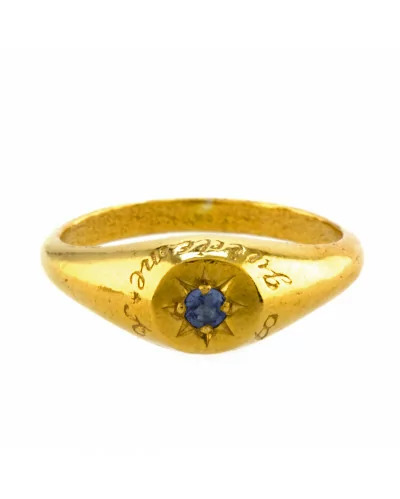 A charming love token from Alex Monroe’s ‘Beyond the Sea’ collection, this signet ring features a blue sapphire in a starburst setting, while the words ‘A star to guide me’ are delicate engraved around it. 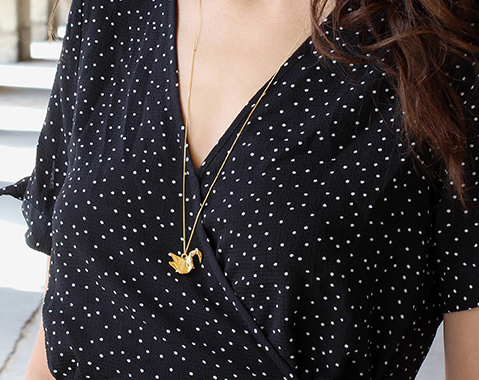 A sweet gift for yourself or a loved one. 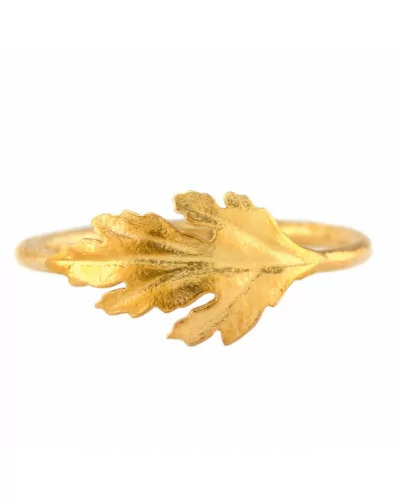 The ring fern leave is handmade in London by the designer Alex Monroe. 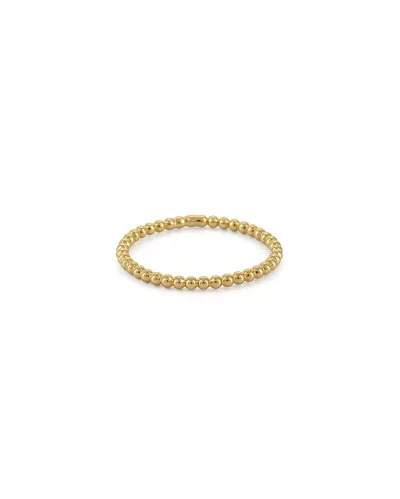 It is available in solid silver and solid silver gold plated 22 carats. 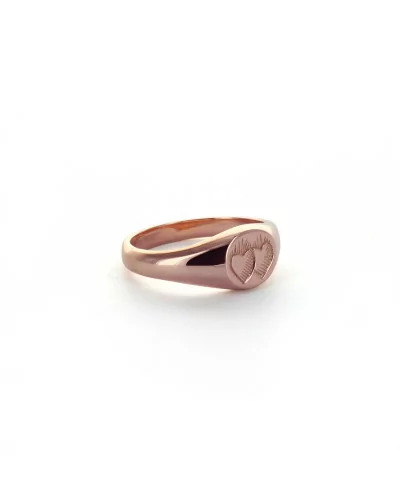 Ring's width is about 1,5 cm. 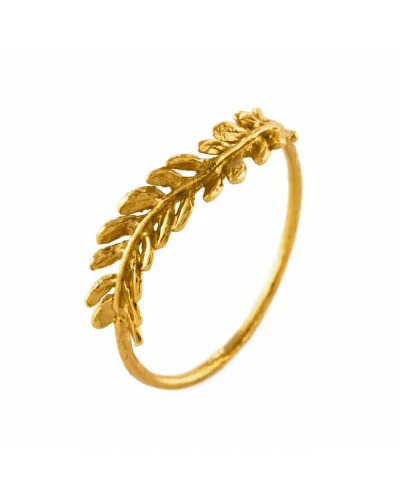 The ring fern leave is handmade in London by the designer Alex Monroe. 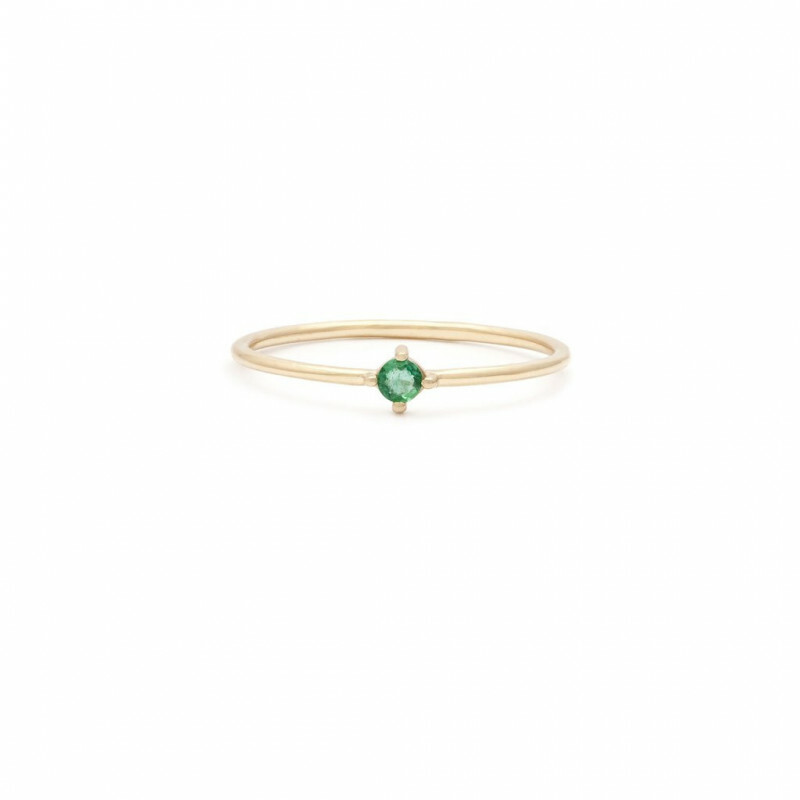 This beautiful ring is available in vermeil. 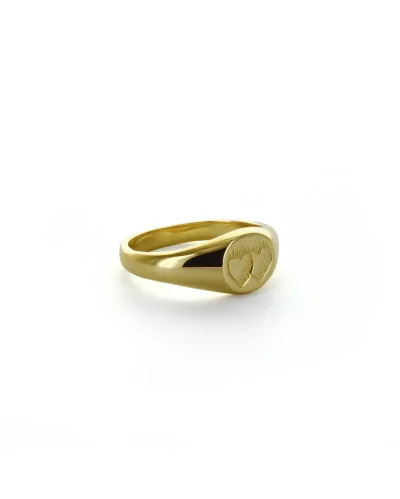 Ring's width is about 1,5 cm. 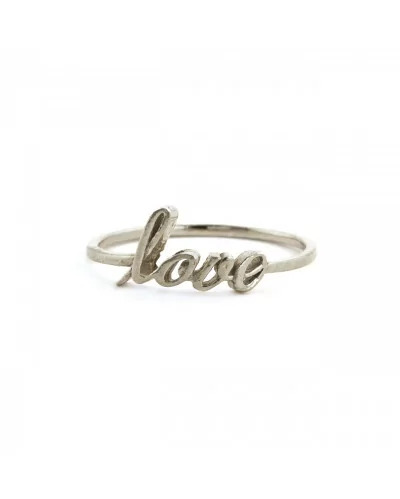 A fine band ring with the word 'Love' written in script lettering, available in solid silver and vermeil 22 carats. 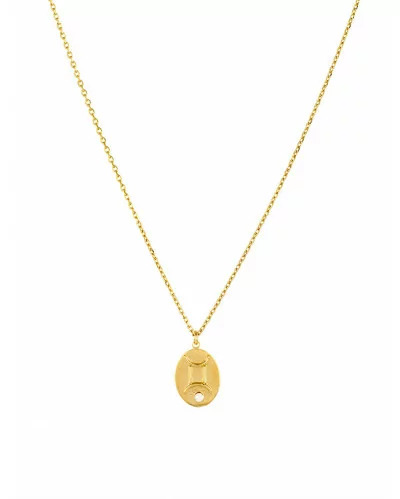 Letters measures are 1,2 cm by 0,6 cm. 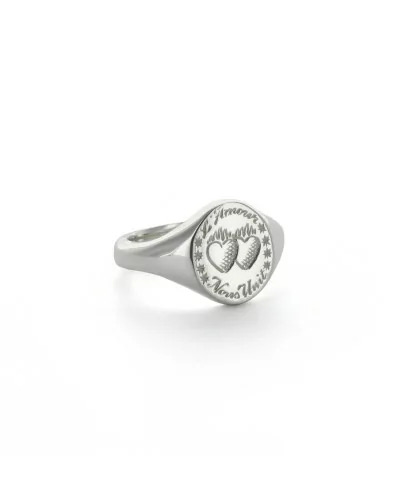 A ring decorated with 5 birds of paradise leaves in solid silver. Leaves are about 8 mm. 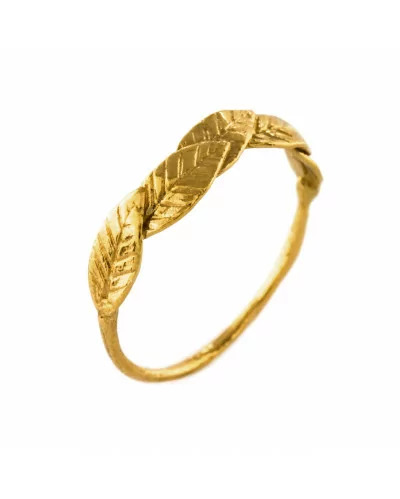 A ring decorated with 5 birds of paradise leaves in solid silver gold plated 22 carats. Leaves are about 8 mm. A beautiful ring in solid silver decorated with chrysanthenum leaves. 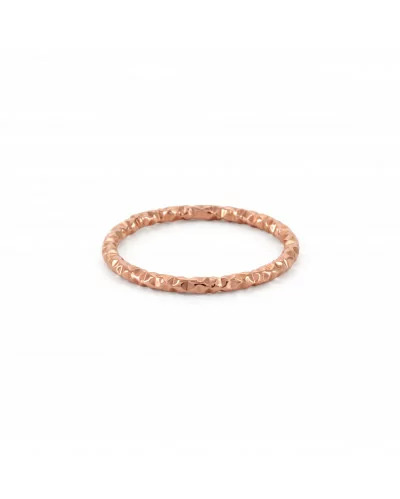 Leaves are about 1,5 cm long and 0,8 cm width. 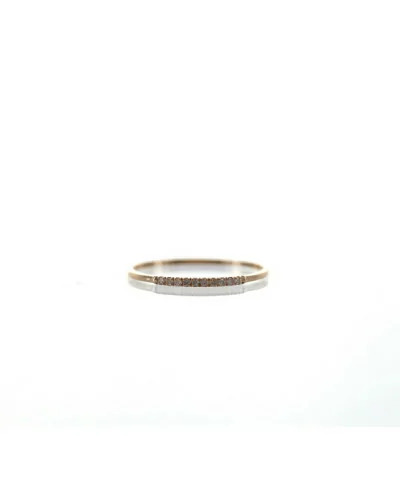 A ring decorated with chrysanthemum leaves in solid silver gold plated 22 carats. 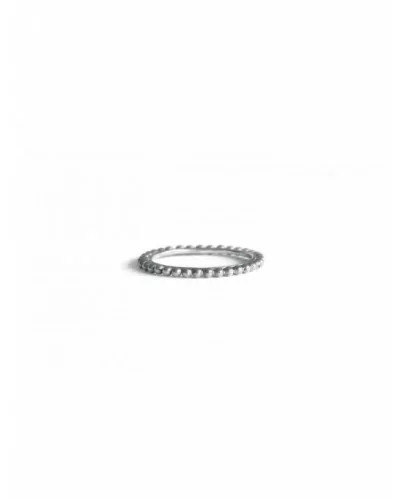 Leaves are about 1,5 cm long and 0,8 cm width. 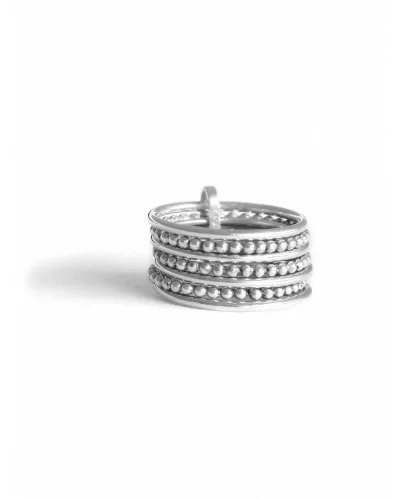 Simple and elegant this ring is very easy to wear with any kind of outfit. 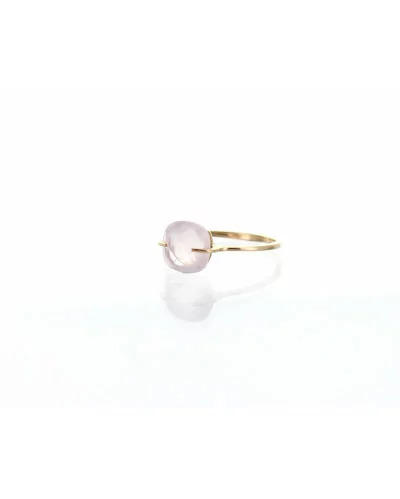 The weight of this ring is 1,23g Agnès de Verneuil is a french designer making its jewellery in Paris. 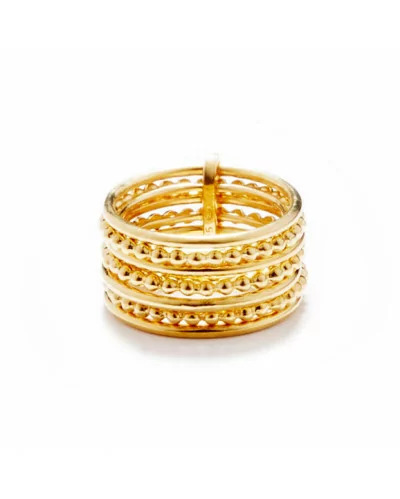 Why wearing only one ring when you can wear 7 in one? 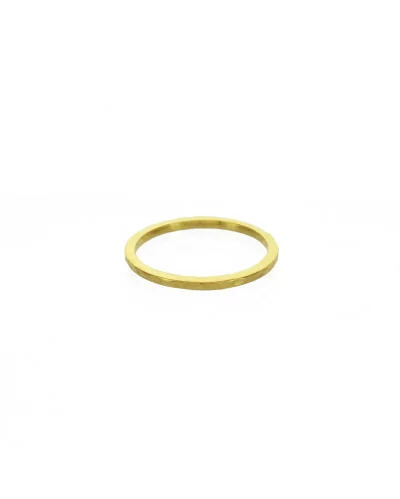 This seven band ring is in sterling silver gold plated. 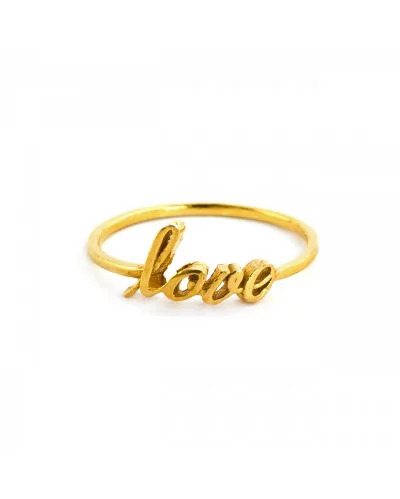 You can easily wear this ring with a black dress or something more casual like a shirt with trousers. 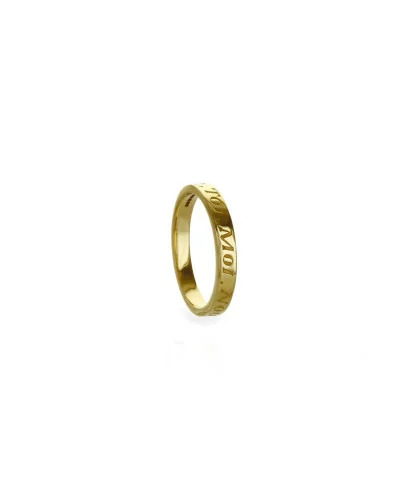 Its weight is 10,01g and its height is 11mm. 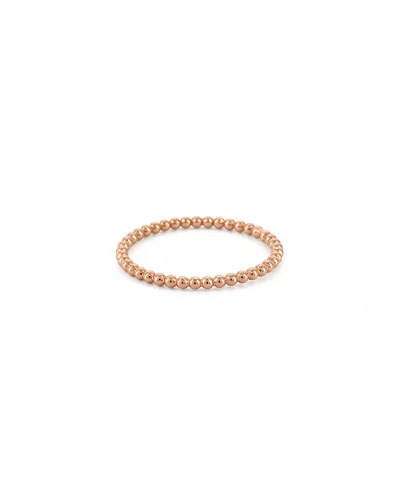 Agnès de Verneuil is a french designer making its jewellery in Paris.